Just run the script for desired software. 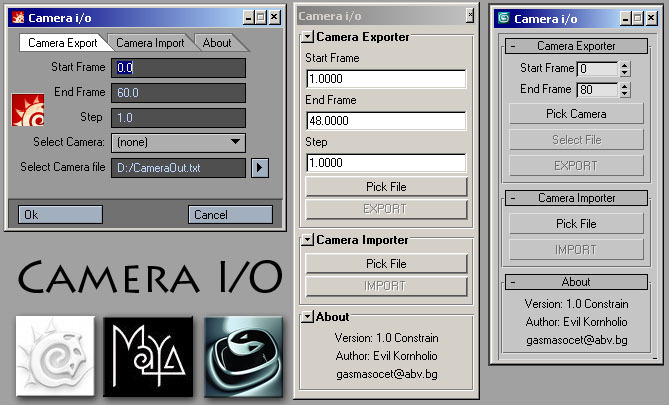 It is recomended to use empty scene for transfers, becouse import function will match FPS , UNITS and RENDER SETTING of source scene. So if you export 24fps animation import module will change target scene fps to 24. It can afect existing animations or expressions based on time. For Constrained LW version see included plugin in rar. Submitted by Dariusz on Tue, 2015-12-08 14:14. Well this is nice dig but still ! Any of them would be epic ! Submitted by dub73 on Mon, 2013-09-09 10:50. Submitted by gasmasocet on Wed, 2009-03-04 04:19. Submitted by kilad on Fri, 2009-02-06 09:05.
but from max to lightwave, is that possible? Submitted by gasmasocet on Thu, 2009-02-05 09:37. Submitted by kilad on Wed, 2009-01-14 05:27.
maybe it works only in 32bit? Submitted by viliivanov on Tue, 2009-01-13 15:18. Submitted by gasmasocet on Thu, 2008-12-11 06:59.